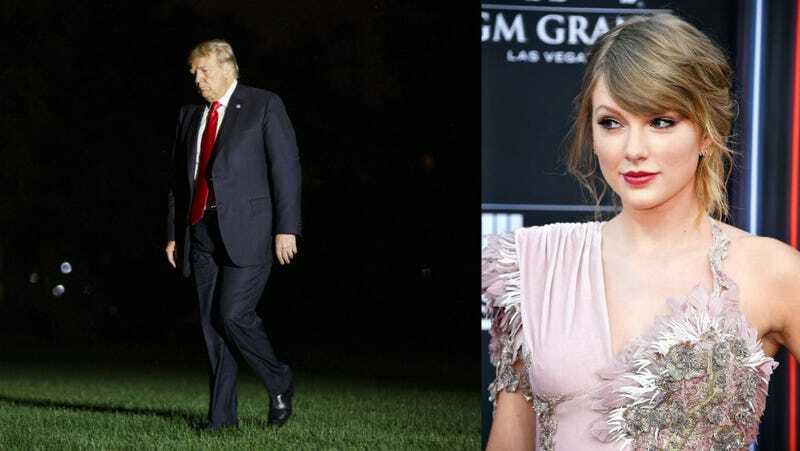 Yesterday, reporters on the South Lawn prodded Donald Trump on a host of issues, including his feelings on Taylor Swift, who came out in support of two democratic representatives from her home state of Tennessee. Swift also expressed discontentment with the voting record of Senator Marsha Blackburn, a conservative. Trump stated that he likes her music about 25% less. The media interaction came, presumably, after the swearing in of Brett Kavanaugh to the supreme court, which followed the publication of a report by the IFCC predicting climate catastrophe as soon as 2040. I really resent the extent to which I have become familiar with Trump’s body language. The smug, crooked grin. The eyebrow raise. I wonder what metric he used to outline his waning interest in Taylor’s music? Do you think he means he likes 25% fewer of her songs, or that he likes each song 25% less? The Weekend Could like...Get It? On the occasion of Bella Hadid’s 22nd birthday, Canadian singer The Weekend shared a bevy of photographs featuring himself and the model, his longtime girlfriend. The snaps are surprisingly intimate, featuring the pair kissing and cuddling in a variety of settings. I had no idea that Bella Hadid was only 22. For a while, I was obsessed with the video of Bella discussing sneakers, in which she delivers the now iconic “If homeboy is in like..these...homeboy could like...get it.” I’m not very familiar with their romance but I feel like the general consensus was that he was somehow “toxic?” Like more than most men? Godspeed.